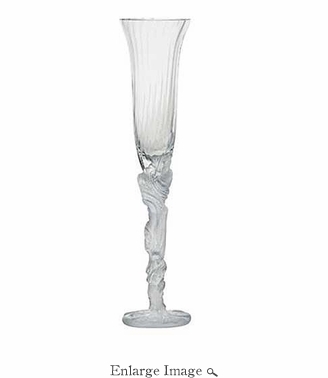 Louis Xv Champagne Flute White H 28.8 Cm. Size: H 11 1/3"
Size: 11.33 Inches Tall. Made By Hand In France. Kiln Fired For 10 Days. Every piece is unique, no two Daum crystals are exactly alike. Since 1878 Daum Crystal has been the ultimate in luxury.